The Institute for Human Centered Design (IHCD) is sponsoring the annual Socially Sustainable Design Symposium at the ArchitectureBoston Expo on Wednesday, November 20, 2013 at the Boston Convention and Exhibition Center. 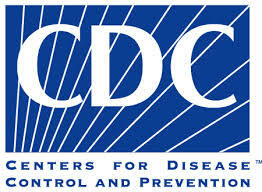 When registering, type SDB10 to get 15% off IHCD's Symposium. 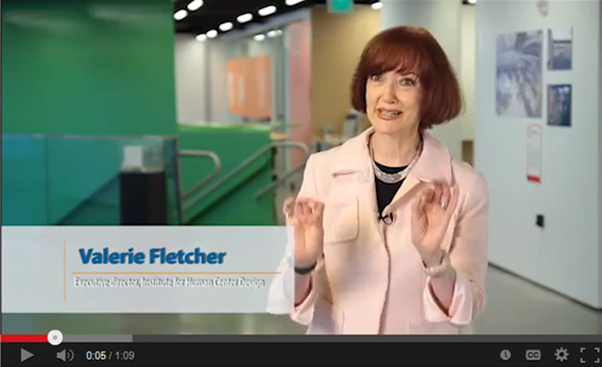 Watch IHCD's Executive Director Valerie Fletcher talk about the Socially Sustainable track at ABX. Also, Kathy Gips, Director of Training and Technical Assistance at the New England ADA Center, will present ADA updates. Photo: Valerie Fletcher, IHCD's Executive Director. Join us After the Socially Sustainable Design Symposium for a Party at our 200 Portland Street Office! Meet the presenters from the Socially Sustainable Design Symposium and talk with us about creating spaces that work for ALL! Food and Drink will be provided. For questions and to RSVP please contact Willa Crolius at wcrolius@ihcdesign.org or call (617) 259-1655. This event is free and open to the public. The New Hampshire Governor's Commission on Disability (GCD) is developing a "Train the Trainer" Disability Etiquette Training seminar. This PowerPoint training, as compiled by Carol Conforti-Adams and Joyce Lanier of the GCD, will include a video presentation of persons with disabilities from all walks of life providing etiquette advice. This training will encompass a brief history of the ADA, statistics about persons with disabilities, and the requirements to offer assistance and to demonstrate respect to the individual with disabilities and their equipment. 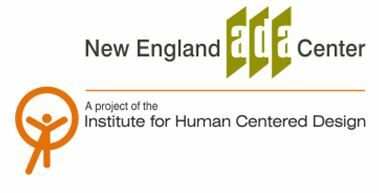 It is Executive Director Saia's goal that the "Train the Trainer" seminar will become part of an educational series to be used by all New Hampshire state agencies, as we strive to break down the barriers those with disabilities encounter. On Oct. 23, Governor Lincoln Chafee and the Rhode Island's Governor's Commission on Disabilities (GCD) presented a half-day conference at the Rhode Island statehouse called "A Better Bottom Line: Employing People with Disabilities." This conference was in support of the Blueprint for Governors which was produced as part of the National Governor's Association 2012-2013 Chair's Initiative. Governor Chafee opened the event and the first of three sessions immediately followed. The GCD is putting together a report which will include all the presentations made as well as information about each of the resources at the conference. Read more about A Better Bottom Line. 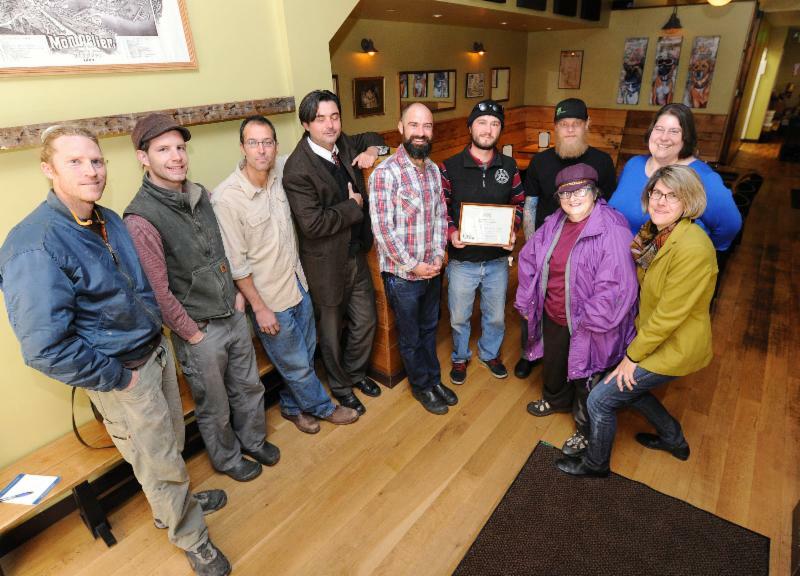 On October 24, 2013, the Vermont Center for Independent Living recognized Montpelier, Vermont's Three Penny Taproom pub with its Rosemary J. Miller Dining for All Award. In 2012, Three Penny Taproom expanded into the storefront next door, allowing it to add a wheelchair-accessible entrance. The pub also has two accessible bathrooms and wide aisles. Photo L - R: Jesse Cooper of Stauffer Woodworking, Zachary Hunter of Stauffer Woodworking, Eyrich Stauffer, owner of Stauffer Woodworking; Kevin Casey of Montpelier, who nominated Three Penny for the award; Three Penny co-owners Scott Kerner, Wes Hamilton and Matt McCarthy; Rosie Miller; VCIL Executive Director Sarah Launderville and VCIL Civil Rights Manager Kim Brittenham..
Mayor Menino Cuts Ribbon at Boston's First Universally Accessible Playground! 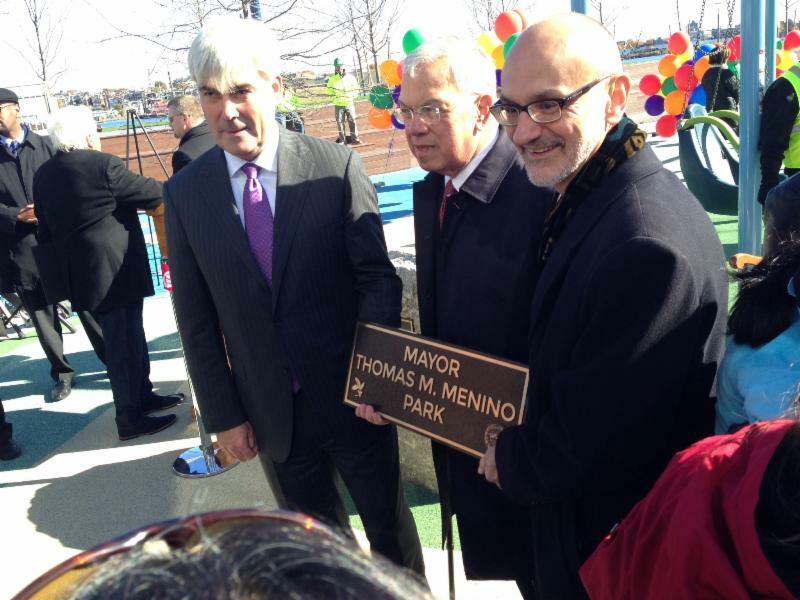 On November 4, Boston Mayor Thomas M. Menino joined Liberty Mutual Insurance Chairman and CEO David H. Long, David Storto, Spaulding Rehabilitation Hospital President, and many happy children of all abilities for a ribbon cutting ceremony to unveil the City of Boston's first universally accessible playground. Read more about the accessible playground. Photo L - R: Liberty Mutual Insurance Chairman and CEO David H. Long, Boston Mayor Thomas M. Menino and David Storto, Spaulding Rehabilitation Hospital President. 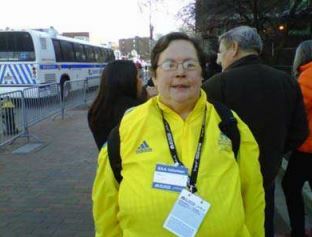 IHCD volunteer Mary Balsley was a volunteer at the 2013 Boston Marathon. "My placement was near the finish line at the corner of Clarendon and Boylston Streets." Read Mary's account of the events near the finish line of this year's Boston Marathon. Photo: Mary Balsley after the conclusion of the 2013 Boston Marathon. 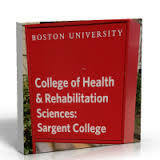 "Project Career: Development of an Interprofessional Demonstration to Support the Transition of Students with Traumatic Brain Injuries from Post secondary Education to Employment" is a 3-university site project, including Boston University, Kent State and West Virginia University. The goal of this 5-year project is to improve career readiness and employment outcomes of civilian and veteran students with traumatic brain injuries. 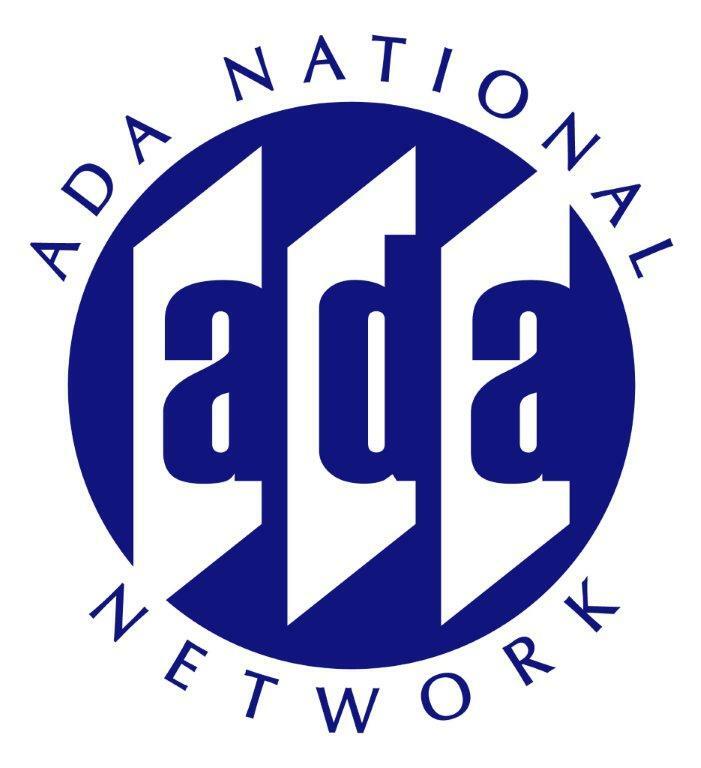 The ADA National Network has posted final html versions of Section 503 and Vietnam Era Veterans' Readjustment Assistance Act factsheets online. More than 50 million Americans have arthritis, and almost half of them can't perform normal daily activities because of the disease, U.S. health officials said. 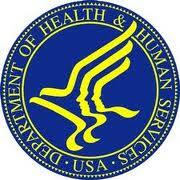 The Departments of Labor, Health and Human Services and the Treasury jointly issued a final rule increasing parity between mental health/substance use disorder benefits and medical/surgical benefits in group and individual health plans. The final rule implements the Paul Wellstone and Pete Domenici Mental Health Parity and Addiction Equity Act, and ensures that health plan features like copays, deductibles and visits limits are generally not more restrictive for mental health/substance abuse disorders benefits than they are for medical/surgical benefits. At New York's John F. Kennedy Airport, sixteen-year-old Damian Mendez, who has autism, and his mother Christina practiced checking in, walking through security and boarding a plane at jetBlue's terminal 5. Once on board, they fastened their seat belts; a flight attendant offered them snacks, and their A320 aircraft pulled away from the gate for 20 minutes so Damian could experience the plane in motion. Read the full story. 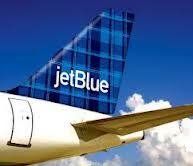 Visit JetBlue's Blue Horizons for Autism web page. Since 1983, the Alzheimer's Association, MA/NH Chapter has marked the month by reaching out to caregivers, individuals with memory disorders, and the public with information about Alzheimer's and related dementias. Find a program near you and learn more about managing the challenges of Alzheimer's. Visit the MA/NH Chapter education calendar to see a listing of special events.